Why keep renting?? This brand new home is complete and never lived in. Located on a oversized lot with almost 15,000 total square feet. There are 3 bedrooms, 2 baths and a large 2 car garage. The kitchen has wood cabinets and granite countertops with a breakfast bar. All of the floors are tiled even in the bedrooms. The layout is perfect for entertaining with the great room right next to the kitchen. The sliding glass doors off of the dining room open up to the porch. The lot has a nice wooded view out the back with lots of trees and birds to view. Built with concrete blocks, hurricane shutters and an engineered roof and trust system. 1 year standard builder's warranty with a 2/10 Bonded builders warranty. Plus this location is within 5-10 minutes of the Publix Shopping Center at the intersection of Price Blvd and Toledo Blade Blvd. We have several more locations that are being built or we can build a custom home on your lot. Driving Directions: Take Veterans Blvd, Turn on Atwater, Take a Right on Chesley, Right on Surprise, the homes on the Right. Lot Features: Corner Lot, In City Limits, Oversized Lot, Street Paved; 1/4 Acre to 21779 Sq. Ft. Listed by Global Network Realty & Assoc. 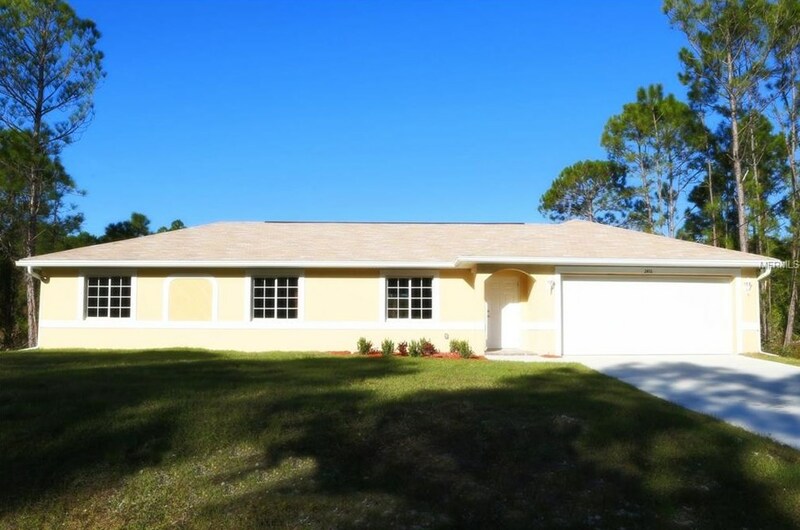 5548 Surprise Road, North Port, FL 34288 (MLS# D5913684) is a Single Family property that was sold at $171,900 on April 15, 2019. Want to learn more about 5548 Surprise Road? Do you have questions about finding other Single Family real estate for sale in North Port? You can browse all North Port real estate or contact a Coldwell Banker agent to request more information.